Many years ago, the island Sri Lanka was called Serendip, the origin of the word serendipity. We feel the influence of 'always making discoveries, by accidents and sagacity, of things they were not in quest of' is a good description of a Tell Tale trip generally! Perhaps particularly so in Sri Lanka. Have a look at our itineraries which have been put together from extensive research and with love and care. We are also happy to customise where possible. All tours include flights from the UK with a choice of airports including London, Birmingham, Manchester, Newcastle, Edinburgh and Glasgow. We are also able to arrange flights from other countries. It is also possible to book excluding flights. Please note any 'best taken' are guidelines. There is always weather to suit anyone's tastes at any time of year in Sri Lanka, a tiny island of many climates. Serendipity and Tea - A classic journey around the island of Sri Lanka, known in ancient times as Serendip. Your journey will take in the ancient capital city of Kandy, the splendours of Sigiriya, the luscious greenery of hill country, nature and wildlife, and finally the south west coast with its stunning backdrop of clear blue sea and fishermen perched on sticks. Private tour 16 days (usually Saturday to a Sunday, 2 weeks later). 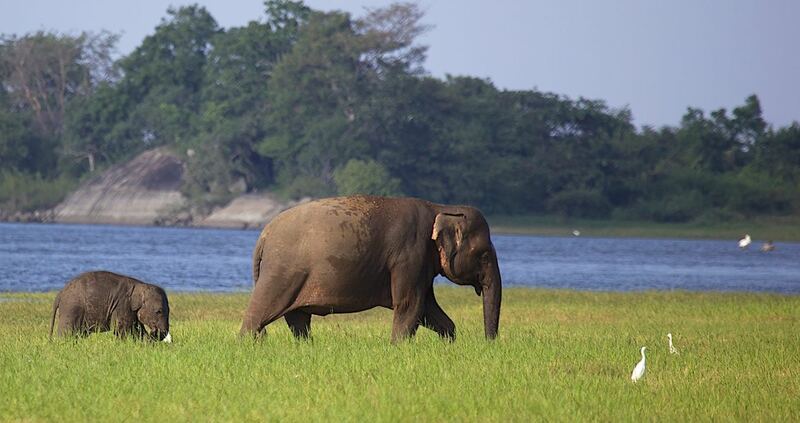 Wildlife and Culture - Discover the animals and nature of Sri Lanka. Leopards in Yala National Park, elephants, peacocks and more on this wildlife-themed trip. You'll explore vast wildlife reserves, whilst sightseeing and meeting local people, to discover the real Sri Lanka. This is truly a Tell Tale trip. Private tour 15 days (usually Saturday to a Saturday, 2 weeks later). Can also be taken by (adventurous) families. Great all year around. Elephants, Egrets and the Deep Blue Sea - See the larger animals who live or journey around the tiny island of Sri Lanka on this two-week wildlife adventure, including whales, dolphins and elephants and enjoy some eco-luxury by the sea. This trip is "Tell Tale light" (less immersive) and is designed for wildlife enthusiasts. Private tour 14 days. Best taken November to May. Forts & Monkeys Family Adventure - Chattering monkeys abound on this two-week family adventure holiday. This tour takes in historic forts, Yala national park (best place for a chance to spot leopards), a gentle trek in hill country and meeting local people, and you'll spend a few days right on the east coast with shallow lagoons and turquoise waters. Private tour 15 days (usually Saturday to a Saturday, 2 weeks later). Specially priced for families, although the itinerary is great for adults only too. Perfect as it is for March to October (beach section can be changed for other times of the year). Eastern Odyssey - Take a trail to Trincomalee, along the fishing coast and centre of Sri Lanka, across the Elephant Pass to Jaffna in the north, to one of the most beautiful natural harbours in the world. From Trincomalee, you'll head further down the eastern coast to Batticaloa before you head back to Colombo through central Sri Lanka. This trip will expose you to the history, cultures, food and lives of many of Sri Lanka's diverse people. Private tour 16 days (usually Saturday to a Sunday, 2 weeks later). Best taken March to October. Small group adventure suitable for solo travellers - Discover the culture, wildlife, greenery and beaches of Sri Lanka on this group trip. This trip is one of our occasional special set departures to travel with other people. No single supplement. Cinnamon and Orchids - A 9-day tour discovering some the flora and fauna of this beautiful island. Highlights include Sinharaja rainforest, a biosphere, seeing cinnamon cultivation and exploring a forest with a botanist. Best taken November to April. Private tour 9 days (usually Saturday to Sunday, a week later). Best taken November to April. Wildlife and Seascapes Photography - This itinerary is designed with points of interest for keen photographers, and with different lights. Whether you're a beginner or a professional, you'll come back with photos to show as well as some tales to tell. This trip is 'Tell Tale light'. Private tour 12 days. Best taken November to April.